Recently, I read a book entitled The Lucky Few by Heather Avis. If you are interested in adoption or know someone going through the adoption process, it is a great book to read. Or if you know someone who is living with disability and walking through medical needs, it also is a good book to give you a glimpse into their life. 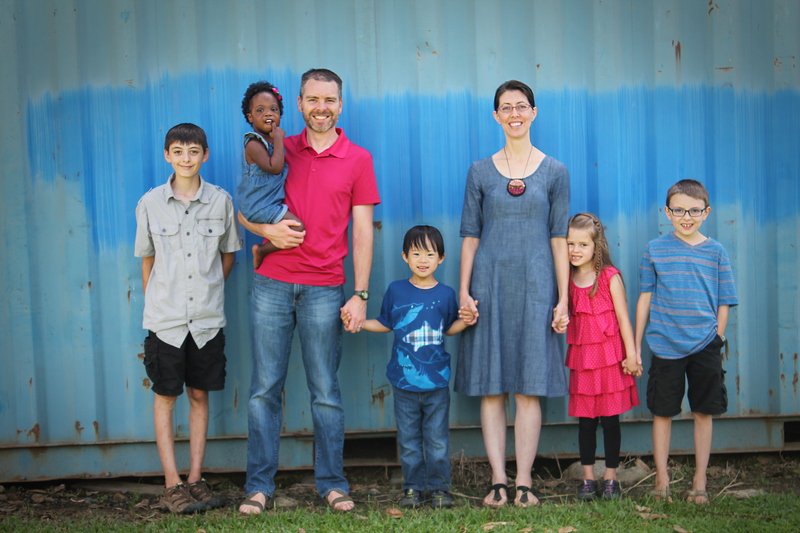 Heather and her husband adopted three kids, two of whom have Down syndrome (Ds). And while parts of their story is different than ours, parts of it were similar. It was encouraging to hear from a mom who struggled with living life attached to a tube (an oxygen tube for her daughter and a feeding tube for our daughter). She made some of the same mistakes I did and had similar emotions. I got to read how another family navigates going out in public as a family with mixed abilities and mixed ethnicities. There are both positive and negative aspects to how conspicuous a family becomes with those dynamics. Heather spoke about the moments leading up surgery as she entrusted her daughter to the heart surgeon to repair the hole in her heart. This part struck me in a way I didn’t expect, because I have recently met two mothers who will never experience the hopefully anxiety that comes with open heart surgery. Two mothers of children with Down syndrome who will not watch their children grow much past infancy or toddlerhood. Two little boys whose hearts are working over time to keep up with the demands of their little bodies. Heart surgery takes special training and specialization equipment. Our general surgeons perform surgeries far beyond the scope of a general surgeon in the USA, but heart surgery is simply not something our hospital can offer. Had these two mothers been pregnant in the States . . .
. . . they would have had doctors who could refer their boys to a cardiologist and pulmonologist and whatever other -ologist they would have needed to fix their tiny bodies. But had they been pregnant it the States, they likely would have had an OB/GYN who told them that a life with Down syndrome is not a life worth living. That there were other options they could choose before these little boys were born. Their little lives could be terminated when they were most vulnerable. In a culture where it’s not okay to judge the life of another person, it is okay to judge that another life is not worth living. How do I reconcile a world where the lack of resources in one country will bring about the death of children while in another country that is rich in resources, the lack of value brings about the death of other children? At times I want to despair in these injustices, but I am reminded of the hope we have. That God, through Jesus, is reconciling (restoring) all things to himself (Colossians 1:20). That He has reconciled me “if [I] continue in [my] faith, established and firm, not moved from the hope held out in the gospel.” (Col. 1:23) As I become a servant of the good news of Christ’s restoration, He uses me in these very areas of injustice that weigh on my heart. And He refines me, helping to strip away my selfishness and desire for ease and comfort. And despite my fumblings, He can use my obedience to bring restoration and reconciliation in the lives of other. He has called Nathan and I to be a part of His restoration by providing medical care where there is little available and to welcome children into our family who are so easily disposed of by cultures around the world. It’s not always comfortable or easy, but there are blessings that come only through obedience. Blessings we would have missed if we had chosen to walk in fear of the unknown. “I believe that at some point in our lives each of us has the opportunity to leave our comfortable path and head into the wilderness [with God]. Each of us will at some point hold a ‘yes pebble’ in our hands. My hope and prayer for all of us is that we will be willing to toss those pebbles into the murky waters and get our fancy shoes dirty in the mud. My hope is that as we say yes, the ripples of our decisions will begin to form wonderful waves. Waves, my friends, cannot be ignored.” Heather Avis, The Lucky Few. Well said Beckey. I am so glad God brought these two beautiful children to your family and mine.